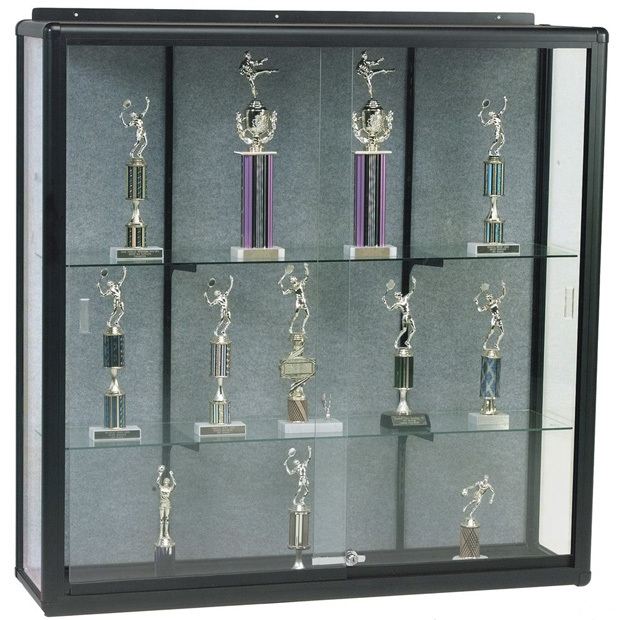 * The Wall Mount Display Case shows your collectibles and valuables with style. * Features .19" thick tempered glass on three sides, allowing maximum viewability. * Doors lock to help prevent tampering. * Framed in elegant rounded black anodized aluminum Elite trim. * Back panel is available in black, walnut, oak, or silver hook and loop fabric. * Custom laminates and back panels are also available. 48" x 36" x 14"